The FACEIT Major euphoria that kicked off earlier this month is already reaching high peeks. And it's all thanks to an amazing Challengers stage which featured astonishing clashes between Davids and Goliaths of CSGO… and it's safe to say Goliaths weren't always the winning teams. CSGO gambling fans from all over the world are enjoying themselves… and their joy won't be stopping any time soon. 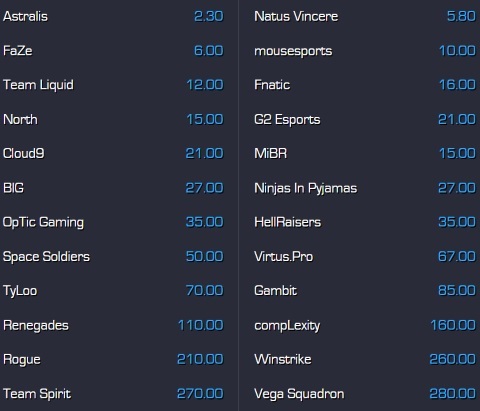 There is still a ton of matches to go with both Legends and Champions Stages left to conclude the last CSGO major in 2018. 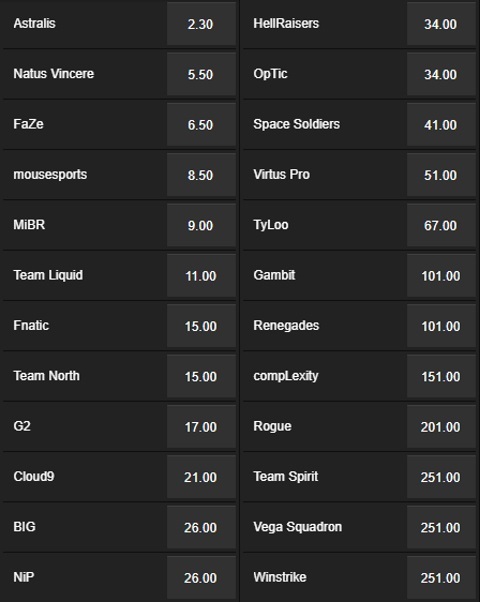 With all that being said, FACEIT Major London 2018 Legends Stage betting odds are going to be a marvelous sight to see. There's no doubt about that – especially looking back at all those overtime matches throughout the Challengers stage. As you can see above, the format of this tournament is pretty straightforward and can be explained in just 4 bullet points. In fact, it's basically the same format that was used with the Challengers Stage. In other words, there will be a total of 16 teams competing for their place in the Champions Stage bracket. This means only half of them will go through. All matches (except the 5th round) will be played in best of 1 fashion. One thing is for sure – all eSports betting fans from all over the world will have plenty of matches to look forward to! 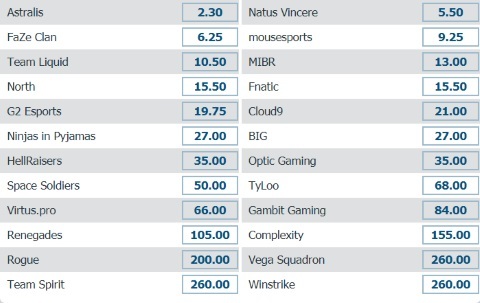 One last thing – below this paragraph, you can see the current standings of teams in the Legends Stage of CSGO FACEIT Major London 2018!